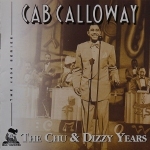 Cab Calloway CDs @ Hep Records, jazz in depth from the 1930's to the present day. 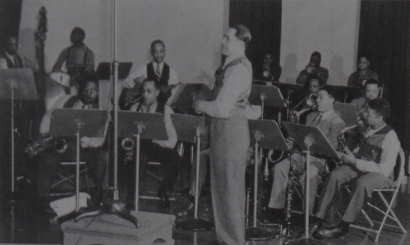 Left to right: Cab Calloway, Danny Baker, Jerry Blake, Dizzy Gillespie, Keg Johnson, Hilton Jefferson, Lammar Wright, Tyree Glenn, Andy Brown, Jonah Jones, Quentin Jackson and Walter 'Foots' Thomas. At The Panther Room, Hotel Sherman, Chicago in 1941. 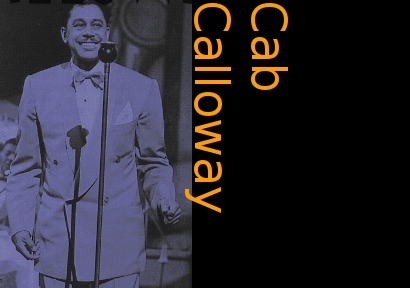 Cab Calloway Band: Milt Hinton, Cozy Cole, Chu Berry, Andy Brown, Danny Baker, Cab Calloway, Jonah Jones, Lammar Wright, Keg Johnson, Jerry Blake, Dizzy Gillespie, Quentin Jackson and Walter 'Foots' Thomas. At the Columbia (Okeh) Records Studios, NYC in 1941. Cab Calloway Band: Keg Johnson, Chu Berry, Claude Jones, Andy Brown, Dizzy Gillespie, Chauncey Haughton and Mario Bauza. At the Paramount Theatre, NYC in 1940. Cab Calloway - "Calling All Bars"